Couplings for TAPER-LOCK® Bushings | System Components, Inc. Consult engineering for larger sizes. 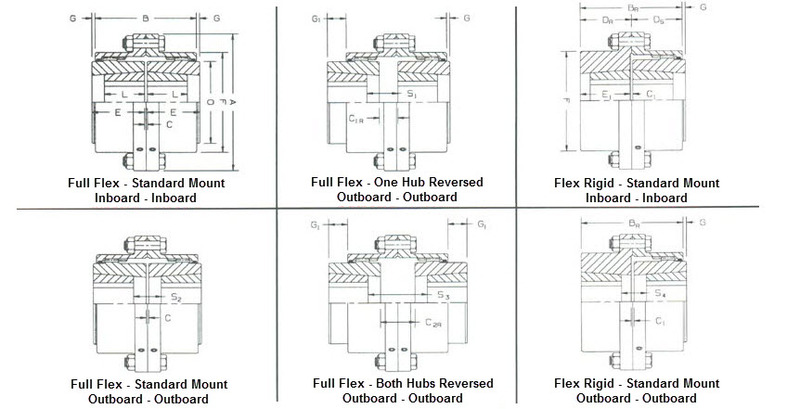 Flex hubs or rigid hubs can be provided with either inboard or outboard mount bores. Unless otherwise specified standard mount with inboard - inboard hubs supplied.